Remember the last time when you played online and lost because once you almost killed that Raven chick she switched her life and yours and you end up dying. Trust me, we all remember it. But the good news is, if you are one of the unlucky people online who don’t have her in their collections, now is your chance. 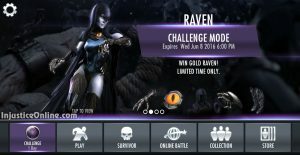 Gold Raven has reappeared for a limited time as a character in a single player challenge and awaits you. 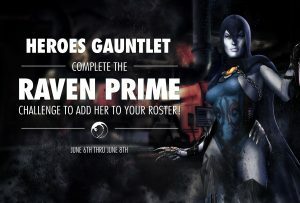 For those of you who have her, here is a great chance to increase her level. 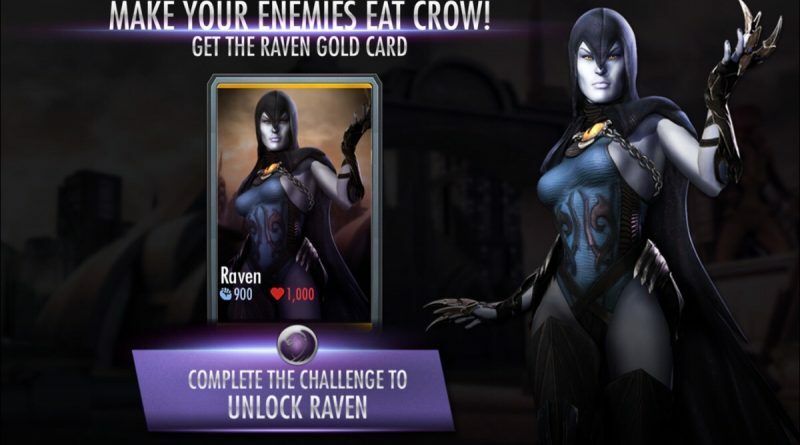 Raven possesses the passive ability to switch her life and the life of her opponent twice, once she has reached 20% health. This only happens if the opponent has more life. To beat this challenge you must have Wonder Woman, Nightwing and Flash in your collection. 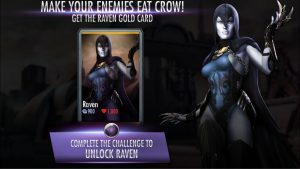 There are bronze versions of all of them, so this challenge shouldn’t be a problem even for new players who do not have gold versions of every character.